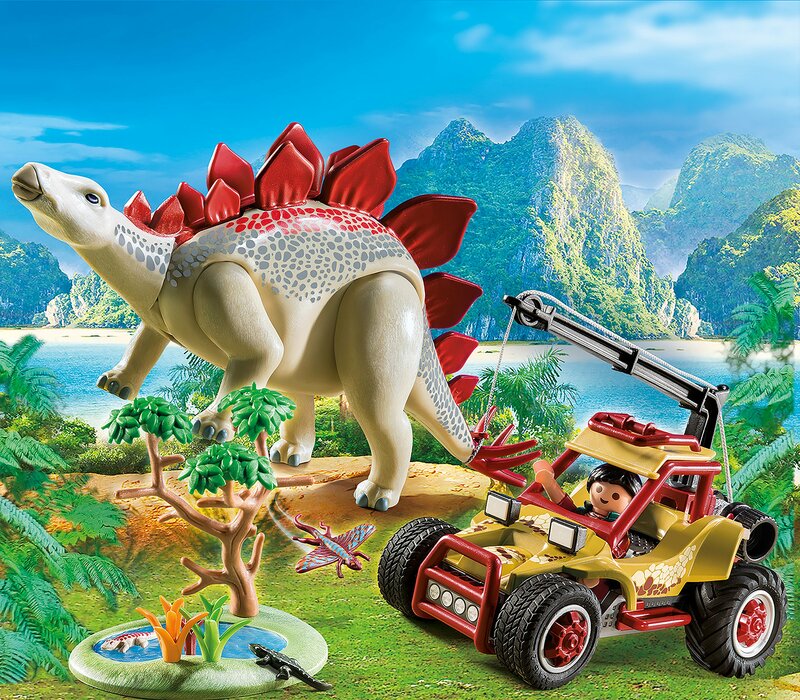 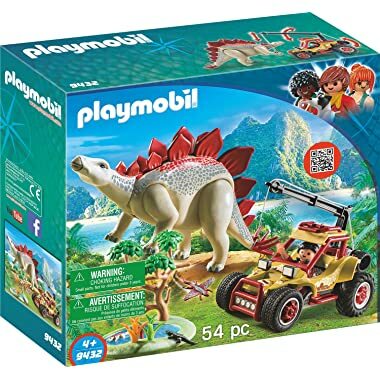 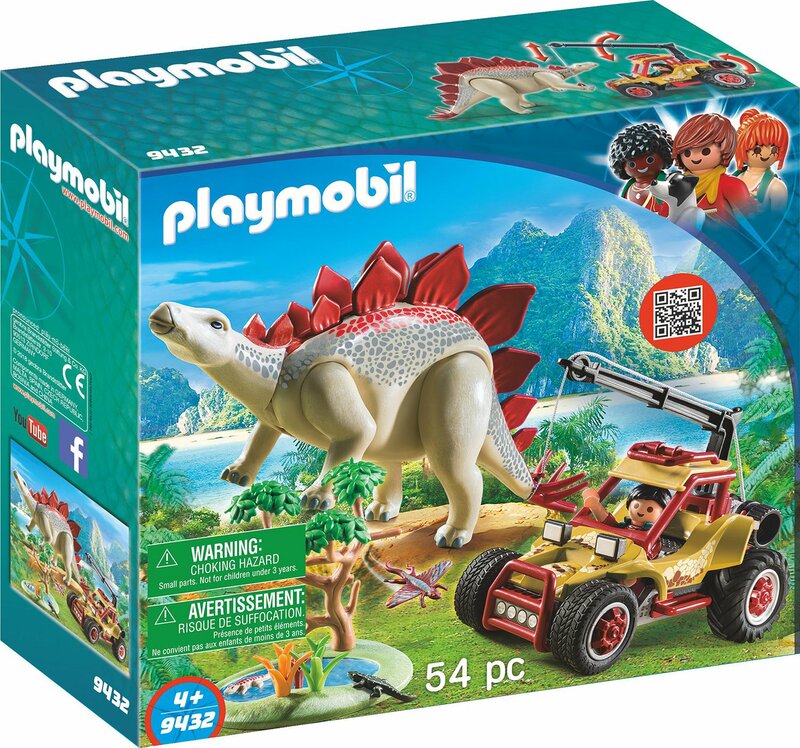 Discover the Dino world with the Explorer vehicle with Stegosaurus. 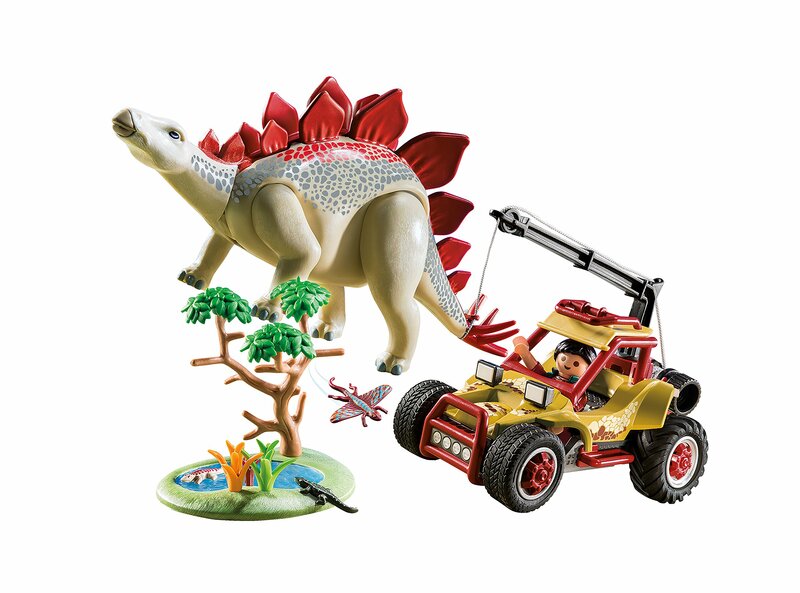 With functioning winch and crane boom, the Explorer has time to observe and take notes on his Dino friend, before releasing him back into the wild. 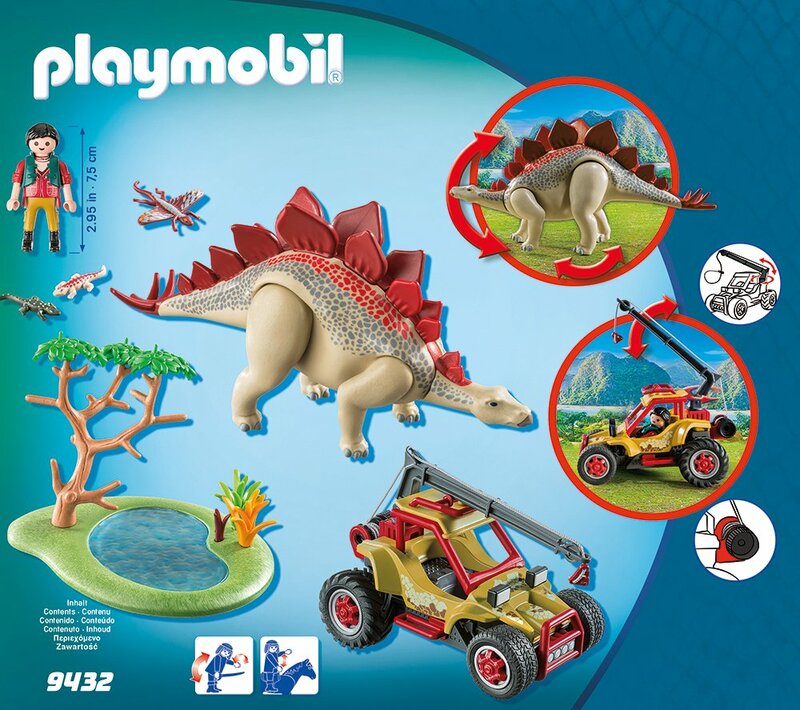 Set includes one figure, Stegosaurus, pond with tree, vehicle with cable winch, and other accessories. 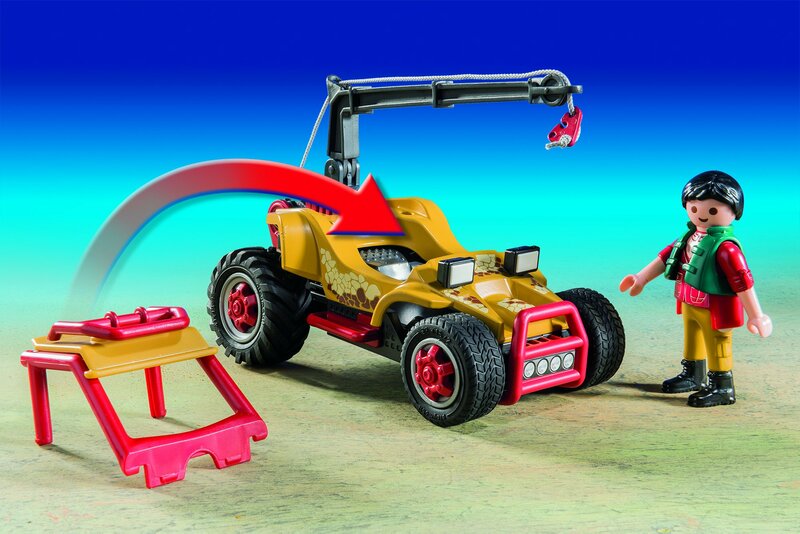 Recommended for ages four years and up.